Western Sydney Tyres is a Tyre Dealer in Sydney, having decades of experience in the local automobile industry. We provide a wide range of Tyres to vehicle owners of all top Tyre Brands Sydney wide along with facilitating them with top quality Tyre repair and recycling services to ensure safety of Sydney lovers. Known across Sydney for our excellent customer services, professional team and the best wholesale rates, we have years of experience in the Tyre and wheel business. Our well-trained and professional team of workers is skilled in all types of Tyre, wheel repair and fittings, making sure every vehicle leaves our repair centres looking brand new. Whether you have got a flat Tyre or problems with wheel balancing, we will fix everything for you. Our expert team will thoroughly check your vehicle, diagnose the problem, and then repair it leaving it looking absolutely brand new. Apart from our regular services, we include many discount offers and special packages on a regular basis that our customers can avail. Our clients can enjoy incentives such as Buy 1 Tyre and Get the 2nd Tyre for half-price and Discounts On Our Tyre services to ensure that our services remain light on their pockets and keep their vehicles safe at the same time. At Western Sydney Tyres, we offer wholesale Tyre rates for a wide range of vehicles starting from small cars and motorbikes to larger trucks and even airplane. We have a large inventory of Tyres which we stock in every brand, high-end and affordable, local and foreign, including Goodyear, Firestone, Hankook, Toyo, Nitto, Pro Comp, Mickey Thompson, and many more. We have Tyres for all car brands and models including Toyota, Ford, Volkswager, Porsche, Suzuki, Mitsubishi, Land Rover, Audi, and many more. Properly fitted Tyres are important to keep your car in balance during driving. Our Tyre specialists have relevant skills and expertise to handle all sized and shaped Tyres fitted for all kinds of cars. Besides Tyres Fitting facilities, we also provide wheel rotation, a thorough check-up and aligning of new Tyres. If your steering wheel appears crooked and your car wanders off in the wrong direction, it means that your wheel alignment is out of place. At Western Sydney Tyres our staff can fix up the wheel alignment of your car by carefully measuring the specifics of your wheels to adjust their angles and align them properly. We offer front and rear wheel alignment and ensure to drive your car out of any danger that comes with unaligned wheels. For those who don’t want to harm the environment by just dumping their Tyres, Western Sydney Tyres has the perfect solution. Tyre dumping can be seriously harmful to the environment that’s why we offer a Tyre recycling service to all our clients so that they don’t have to worry about disposing their Tyres. The Tyres that are recycled create new rubber that can be used for various other uses including brake pads, road surface, athletic tracks and more. If you’ve got a car whose wheels have become old and tattered, Western Sydney Tyres is here to restore them and leave them looking and feeling brand new. We offer wheel restoration services like cosmetic repair and aesthetic enhancements and also fix up bent, cracked or damaged wheels. We can even repaint your car in a way that protects it from scratching and dust particles. If you feel a vibration in your car or steering wheel while driving and your car feels out of place, this is a sign that your wheels are out of balance. At Western Sydney Tyres we can solve that problem with our wheel balancing service that equally distributes the weight across your wheels to improve the speed and performance of your car and also get rid of that disturbing vibration. 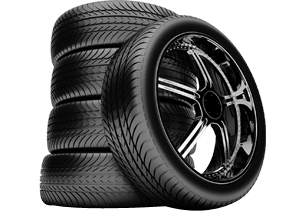 Car Tyres Sale Western Sydney is known for its reasonable prices and top class wholesale Tyre sales and services across Sydney. Whatever service it is you require, just give us a call today at 02 9793 9285. You can also walk into our store today to purchase your Tyres. © 2019 Western Sydney Tyres. All rights reserved.